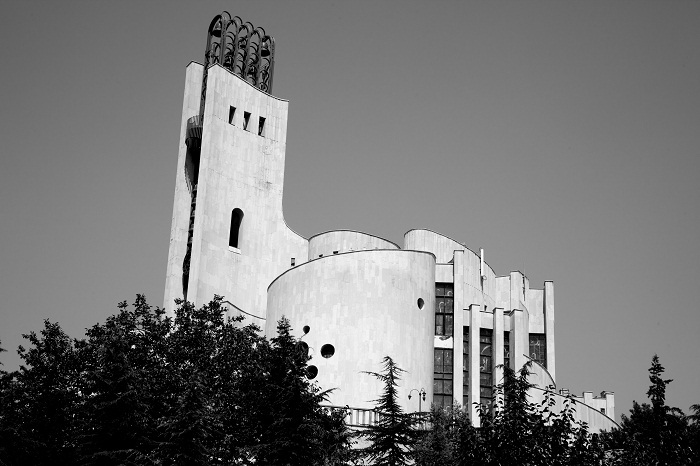 The Wedding Palace is a building which was constructed as a church, being used in the past as a venue place for weddings, located in the capital city of the Republic of Georgia, Tbilisi. 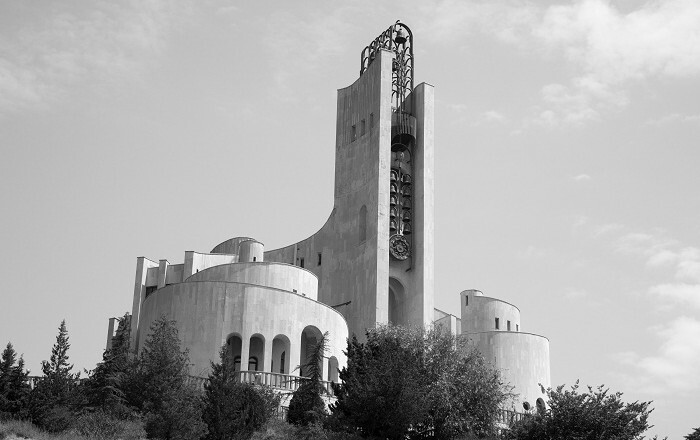 This interesting structure that has some sort of architectural influence of expressionism and medieval Georgian architecture, was designed by the Georgian architect Victor Djorbenadze. Built in 1984 as a wedding venue that was visited by celebrities too, for instance Margaret Thatcher in 1987 who was treated with Georgian dance performance, as well as Deep Purple’s front man Ian Gillan who actually renewed his vows with wife Bron while touring in 1990. 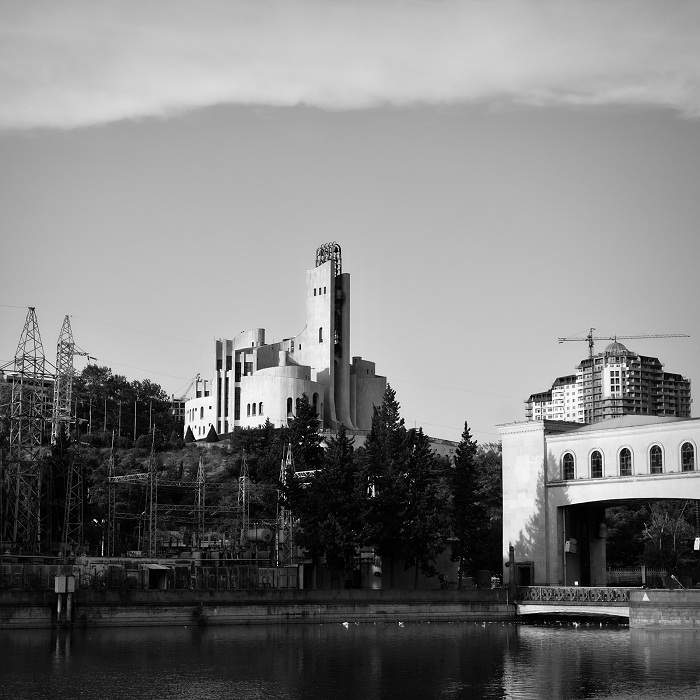 Even though some would state that the architectural style is somewhat monotonous, on the contrary it is not. When standing in front of the main entrance, which in fact has three different entrances, one can notice its curves and bell tower rising high towards the sky, where some might say that has the shape of a tiara with many diamonds. On the left side there are balconies which resemble the palaces of Georgian kings and it is the place where the groom’s party gathers. On the right side is a spiral block which has six asymmetrical window holes, where the bride’s party gathers, and then both parties enter the building from the left and right entrance, respectively where they meet in front of the altar. After the ceremony, the bridal parties pass the fountain of life, and exit through the central (main) entrance from where their life together begins. 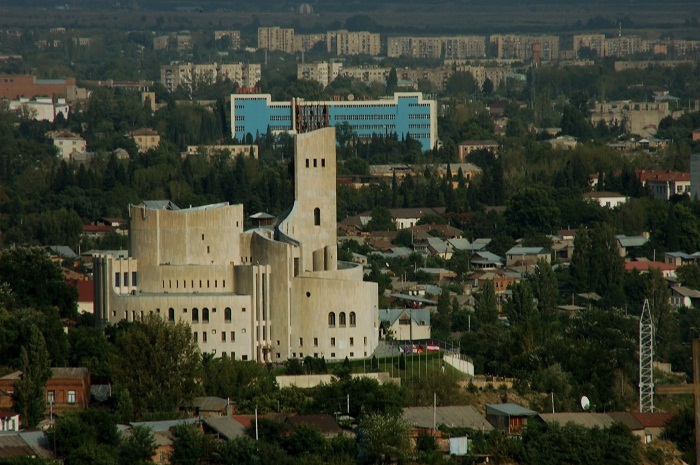 The Wedding Palace is located on the left bank of the Mtkvari River, near the Aragveli Bridge, however this building was abandoned throughout the 1990s. Purchased in 2001 by the wealthy businessman and Georgian oligarch Badri Patarkatsishvili as a private residence, who also run for President in 2008, there was hope that the building won’t be left to decay. After his heart failure, the possession of the Palace most likely has been transferred to his widow. Since 2013, the Wedding Palace has been leased to a private events company that currently is hosting weddings, fundraisers, and corporate functions. 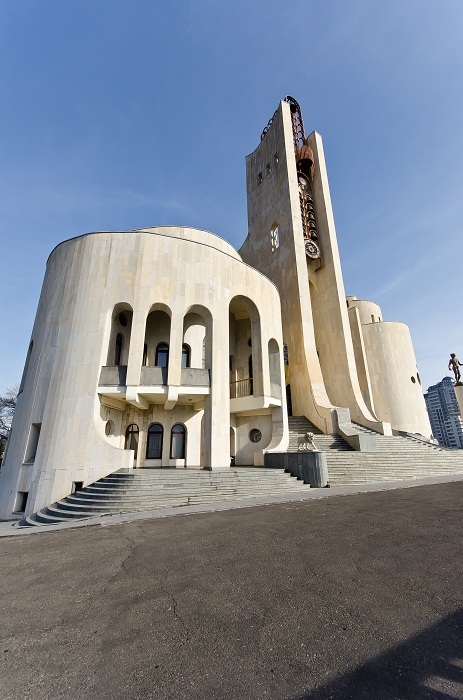 Nowadays, serving as a memorial of the highly underrated architectural style from Soviet times, it is a place that gathers and allures people for special ceremonies, as well as impressionable tourists who would like to take a glimpse of one glorious past of the Soviet architecture. © www.alluringworld.com, 2019. All rights reserved.